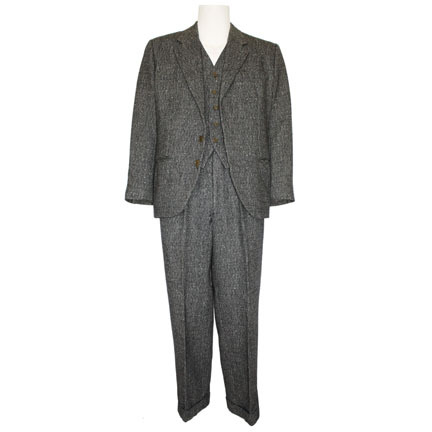 This custom-tailored charcoal grey wool three-piece Armani 1920's style suit flecked with black and white threads was worn by the character Agent Oscar Wallace portrayed by actor Charles Martin Smith in the 1987 gangster epic “The Untouchables”, starring Kevin Costner, Robert De Niro, and Sean Connery. 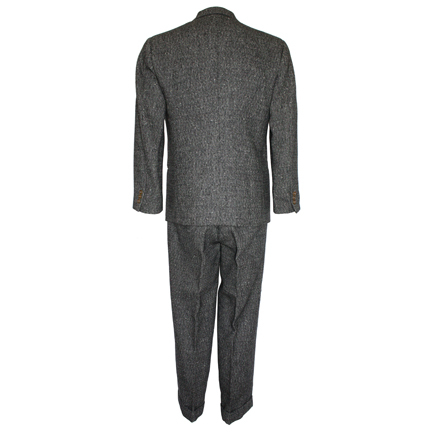 The suit was custom made for Mr. Smith and has the name “Wallace” handwritten in the interior waistband of the pants. 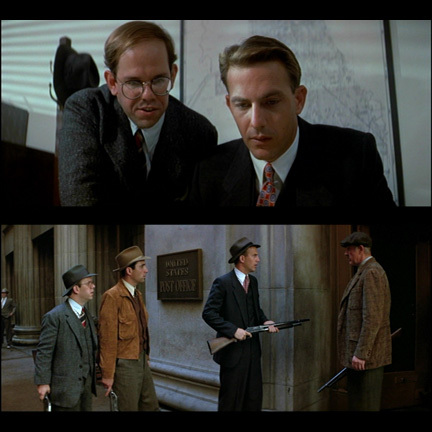 This is the signature suit worn by Mr. Smith throughout the film, and appears in many of the most notable scenes, including when Smith is first seen as he sits at Eliot Ness' (Kevin Costner) desk and introduces himself, and then as the four newly formed "Untouchables" raid a distillery at a post office and go to dinner afterwards to celebrate. 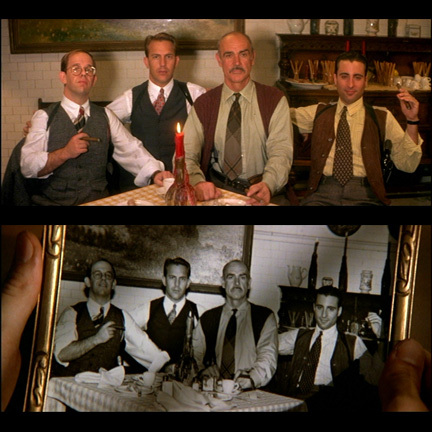 The photo taken at this dinner is shown again near the end of the film, after Agent Wallace has been killed. 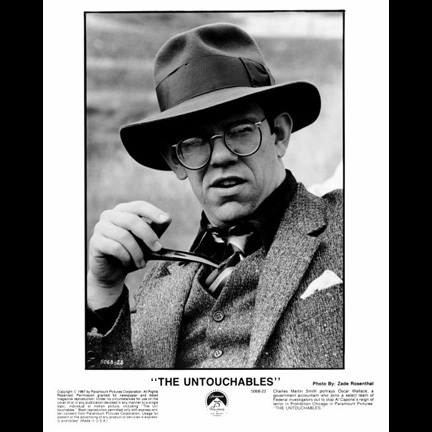 This screen worn artifact was acquired directly from Paramount Studios following the end of production and has the character name "Wallace" handwritten inside one of the garments. 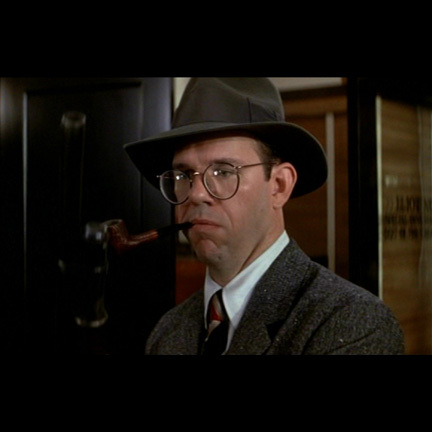 The suit is in very good screen used condition and is accompanied by a letter of authenticity. Presented by The Golden Closet, your premiere source for screen used wardrobe, props, and music entertainment memorabilia.